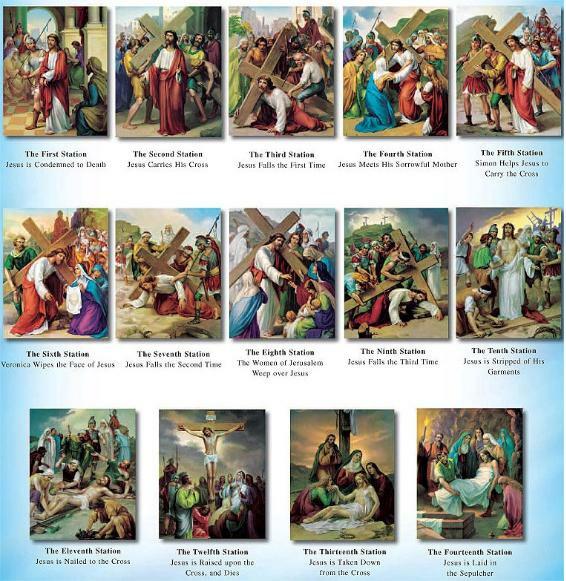 The purpose of the 14 Stations of the Cross is to help the faithful to make a spiritual pilgrimage to the main scenes of Christ’s sufferings and death. This has become one of the most popular of Catholic devotions. It is carried out by passing from Station to Station, with certain prayers at each and devout meditation on the various incidents in turn. Meditation and verses via the Vatican. Sources: Vatican, EWTN, New Advent. This entry was posted on March 29, 2013 at 9:49 pm	and is filed under Religion. Tagged: Christ, Christianity, Easter, Faith, Family, History, Holy Week, Jesus, Life, News, Passion, Religion, Resurrection. You can follow any responses to this entry through the RSS 2.0 feed. You can leave a response, or trackback from your own site.